Catch yourself in a city when it’s celebrating. More bang for the buck, I would say! 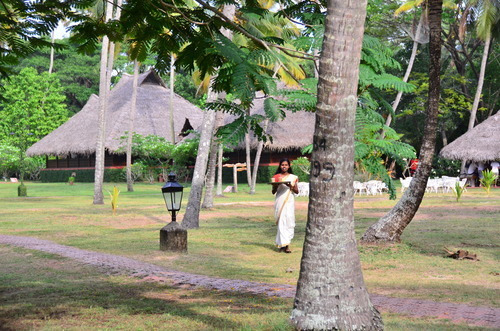 We were in Kerala during Vishu, a festival celebrated in Kerala marking the beginning of the Malayalese New Year. 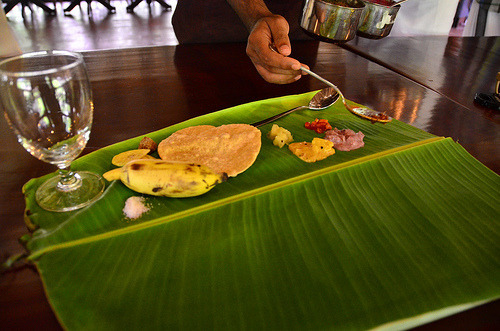 And the best thing about Vishu – it’s a foodie celebration! Thirty odd dishes are prepared that include everything from sweet to salad to savory, along with traditional entrees, presented in a plantain leaf. 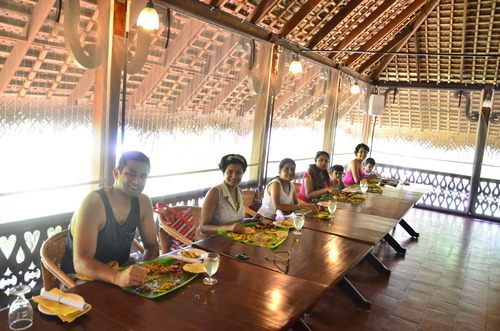 Lunch was planned at Marari Beach Resort – an eco-luxury resort on the shores of Mararikulam. 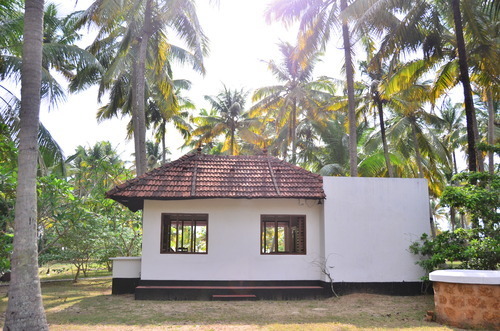 We started the day in Marari Beach’s Ayurvedic clinic with in-house doctors suggesting treatments specific to your body type (anything you got to fix a prolonged relax-ness and laziness caused by this trip??) While you are there get recos for their herbal products for the skin, you won’t be disappointed. Also, go for their synchronized massage, it is an art in itself! Their treatment rooms come with an outdoor garden – so you can catch your zzz’s while smelling the blooms. 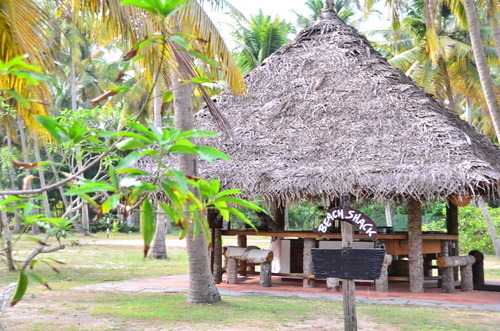 A Wickerwood-roofed, open-sided dining room at Marari Beach – greeting us at the entrance, is a pot pourri of vegetables. 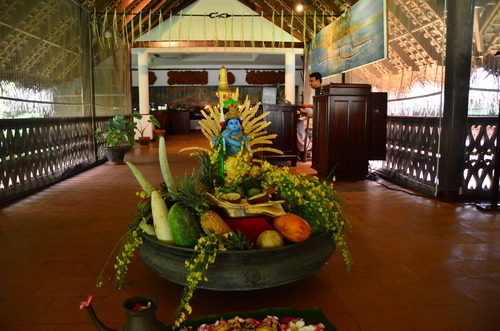 Every household on Vishu wake up to this – a decorated ‘Uruli’- a shallow circular bell metal vessel that contains raw rice, a gold ornament/ coin, green and yellow vegetables, fruits, a mirror, betel leaves, yellow flowers and an idol. I have fond memories of my mom waking me up and taking me to a similar type of uruli on Tamil New Years day. 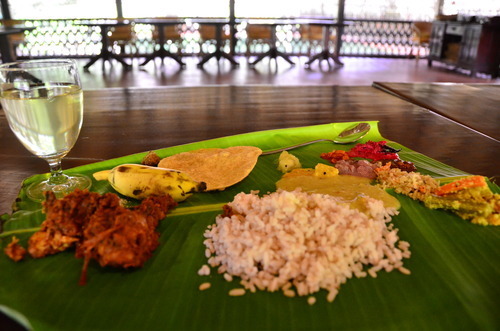 The grand agenda of the day, is the traditional vegetarian feast, ‘Sadya’ served on plantain leaves, displaying the splendour and the cookery skills of a family. 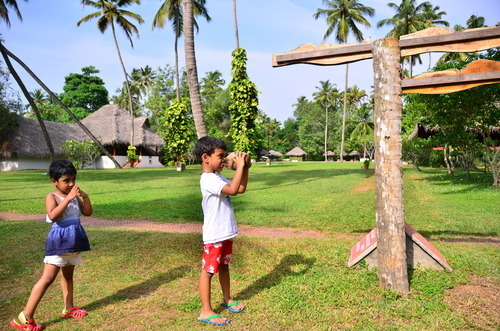 At Marari Beach, we cheated and included the ‘Catch of the day’ and ‘Bird of the day’ to the feast. A meal started with an army of hosts – each with a dish in their hand, lined up to serve you. They go by the order that is auspicious, starting with a dash of salt, banana, followed by papad, and all the pickles. In Kerala, they substitute water with Cumin water – a medicated drinking water made by boiling cumin seed in water. Āyurveda has identified the medicinal properties of cumin seeds as appetizing, stimulating, digestive and good for the brain. Take that, Vitamin Water! Kerala ‘parboiled’ rice – is also unique from the rest of the country. 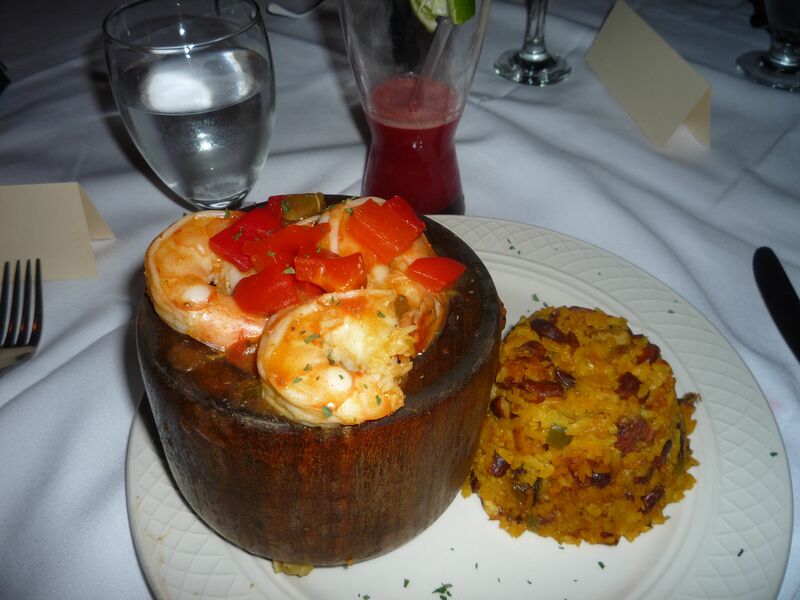 Colloquially called as the Red Rice – it has a pink hue and an earthy flavor. It’s slow cooked for a longer time, that keeps all the fiber and nutrients intact, and it goes well with spicy game-y meats. A few of my favorite dishes that are typical in sadya – Jackfruit Seeds Aviyal, Mor Curry, Beetroot Pachadi and Ginger Curry. Recipes courtesy of Edible Garden. We were seated in a linear long one-sided table – to make way for the battalion of waiters who do their rounds every few minutes to make sure your ‘yela’ isn’t empty. Was reminded of many Indian-weddings that I have attended as a kid, just so that I can eat in a ‘yela’. Things start wayyy earlier than you can imagine! Chai-wala awaits your arrival after you have had the heaviest meal in town. Take a stroll in their palm-fringed grounds. Or read a book in the most prettiest library hut nearby a functioning well. Talk about going back to your roots! Or perch on a bar stool at the open-air beach-hut bar where the garden meets the beach. Kiddos signaling a Rum-Punch arrival? 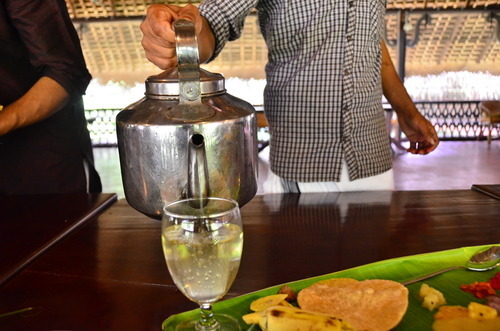 Kerala Synchronized Massage-Sadya-Chai-Pool-Sundowners – the day began and ended with maximum c-h-i-l-l-a-x-i-n-g.